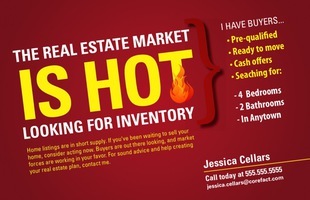 When the market is hot, send out a Hot Market postcard. Homeowners don’t want to miss out on the best time to sell. You don’t want to lose a potential client. 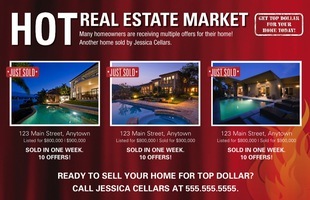 Take control and let them know now is the perfect time to sell and you are the perfect agent for their real estate needs.